CCM - Tomorrow’s Technology. Today. 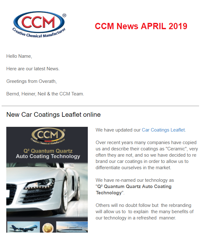 The new leaflet about the CCM „Q² Quantum Quartz Auto Coating Technology“ is online. The “Q² Quantum Quartz” is not simply a brand, it is an exact description of the make-up of the technology. Neil McClelland, Technical Director of CCM explains how the new Hot Stuff® Sneaker Coating works. CCM has put the first "Master Class" video online. It shows the different CCM stone coatings and their properties by Neil McClelland, Technical Director of CCM. 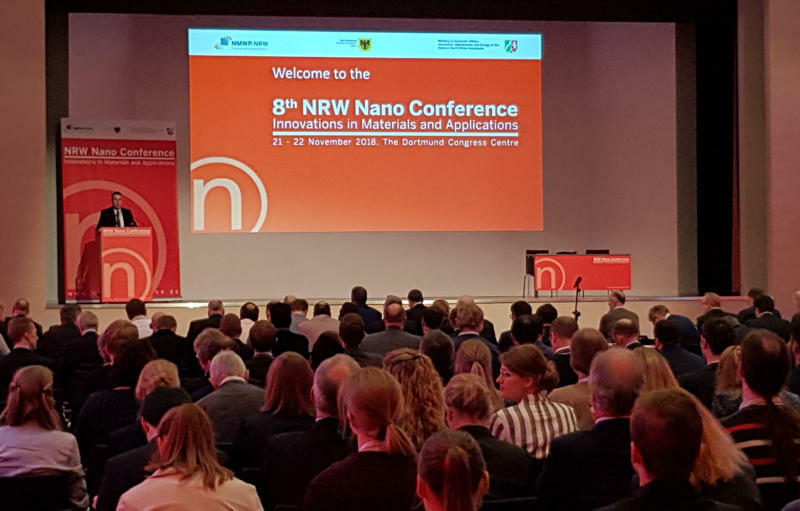 CCM GmbH attended the Dortmund Nano-Conference for the first time. Neil McClelland, CCM's Technical Director was a scheduled speaker at the conference and he provided an overview of the extensive CCM portfolio of coatings to participants from many areas of the nano science community. CCM's partners C+G, from Bruchsal in Germany, exhibited at the Automechanika Show in Frankfurt. They presented the new range of LiquiGlas® consumer car coating products for windscreens, car paintwork and wheel rims. 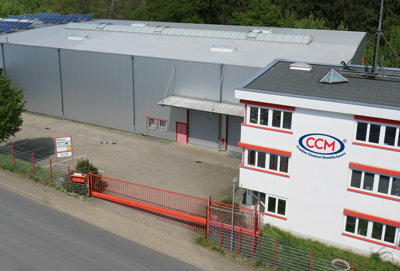 TÜV SÜD (ÉMI-TÜV SÜD Kft Central laboratory) has tested CCM 7601 Glass/Ceramics Coating on a windscreen. The new video is now online. The new leaflet about this range of products is now online. 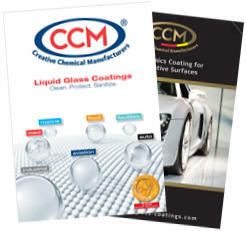 Download all of CCM's leaflets, brochures and catalogs. Check out older versions in our archive. Suscribe to our newsletter to stay informed and browse our archive. CCM GmbH | © 2017 - All rights reserved. Lassen Sie sich regelmäßig per E-Mail über die neuesten Entwicklungen in der Liquid Glass Technologie informieren und bleiben Sie auf dem aktuellen Stand. Get regular email updates about the latest developments in Liquid Glass technology and keep up to date about exciting new opportunities.